Robert A. Basile PI, Licensed by New York State Department of State. Like its name is a sole owned proprietorship Private Investigation and Security Consultant business. Based in the Hudson Valley area of New York, investigative and security consultant management services are offered to clients throughout the State of New York with specialization in Internal Corporate Investigations and Legal Support Services. A smaller more personalized company, Investigations are conducted by the owner himself, this allows the clientele to benefit directly from a decade plus experience. Cases that may require specialized associates will always have the expertise, training and background essential to the clients needs,and the case is always under the direction and supervision of the owner. Personalized service is assured with sole proprietorship. "Your satisfaction as a client matters"
Investigation services for law offices in New York include: process service, surveillance, skip tracing, research, courier service, witness interviews, court record searches, criminal checks, driver's license checks, and motor vehicle searches. 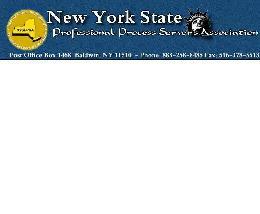 Process service for individuals within the Mid Hudson Valley Area. our Network of qualified and experienced Process Servers. State and local criminal and civil record searches are available for businesses. Searches include professional licenses, motor vehicle registrations, driver's license records, judgments, and more. Employment and Tenant background checks. It is both the corporation and the high-risk individual who must protect and quarantine themselves against forms of espionage, terrorism, kidnapping and acts of aggression. "The Risk Analysis Security Survey and the Executive Protection Service Program will detail vital target areas that put you at risk". If you choose to speak in greater detail about one of the services, please don't hesitate to contact me by telephone, e-mail, or fill in your contact information below for a "Free Consultation"